Dagmar S. Saschek has been advising management on strategic, organizational, financial and regulatory issues around the globe for the past 20 years. She began her professional career with Booz Allen Hamilton and McKinsey and gathered experience in leading projects for major cultural institutions, telecommunications businesses, media companies and distinguished public and non-profit institutions. Working independently since 2003, she specializes in business development, strategic planning, and navigating structural frictions and opportunities. She has worked in over 15 different countries in Northern Europe, North America, South America, Asia, and the Middle East. 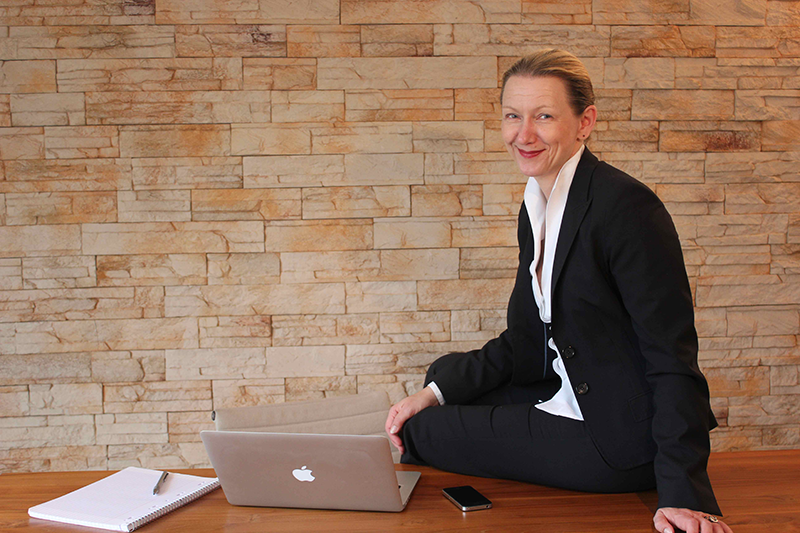 Founder and Partner of cleine consulting company gmbh. Engagement Manager in the Public Services Sector. Consultant/ project manager (since 05/1999) in the Communications Media and Technology Group. Assistant to the manager. Responsible for the studio’s accounting and controlling. 1984 – 1986 Deutsche Bank, Bremen Apprenticeship in banking. Structured thinking with a high command of quantitative-analytical methods. Creative, pragmatic and flexible approach to problem solving. As a client-oriented, enthusiastic team player, able to integrate and motivate individuals and teams and to promote staff relations. Capable of navigating crises and high-stakes situations with equanimity that steadies entire teams and strengthens each participant’s efficacy. A practitioner of interdisciplinary and cross-functional approaches with experience in launching new, sustainable initiatives in both professional, private and cross-cultural settings. While pursuing an international education in economics with an emphasis on mathematical model building, she developed a passion for businesses in dynamic markets and competitive structures. She studied at the University of Bonn, UC Berkeley and Columbia University; speaks four languages; and in her spare time enjoys yoga, punk rock and a wide variety of cultural events. Born in 1965, she lives in Düsseldorf and Berlin, Germany. Research scholarship at the Columbia Institute for Tele-Information. Master’s degree in Economics; focus on Industrial Organization; thesis: “Price Wars and Price Cycles”. Studies in Political Science, Philosophy, Sociology. Friedrich-Naumann-Stiftung Scholar. Lecturer in microeconomic theory 1993 – 1994. Department of Economics. DAAD Scholar. Research Assistant for Prof. Richard Gilbert, Department of Economics (Summer 1990). Bachelor’s degree (Vordiplom) in Economics. Studies in Psychology and Sociology. Fluent in German (native language) and English. Good knowledge of French, basic knowledge of Spanish and Italian. 1985 National Language Contest. Second place nationwide. Member of German association of female lawyers and economists. Scholar of Friedrich Naumann Foundation, member of Alumni Association. Founder and first President of Flamberg Sorority at the University of Bonn.